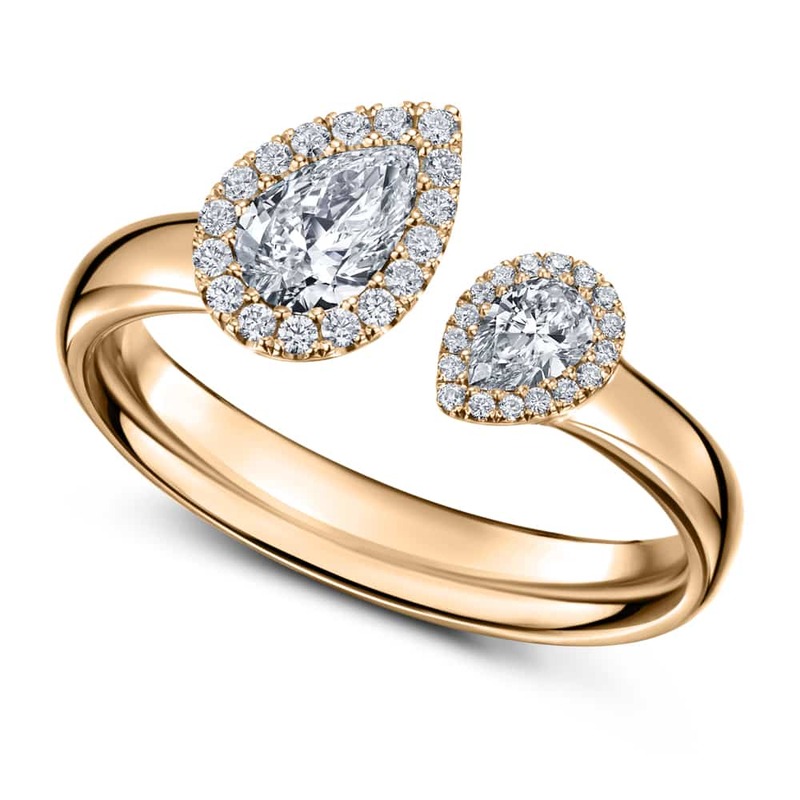 Bold, bright and simply beautiful, the Satellite Diamond Pear is a wonderful contrast of angularity and curve, enhanced with a feminine arrangement of shimmering precious stones. The Satellite’s distinctively asymmetric settings of differently sized, exquisitely cut stones, strike an intriguing balance, as they appear to hover, each held in the other’s orbit. Enchanting in its level of detail, and beautifully crafted, the effect is disarming – all the more intriguing with the pears in reverse to each other. The Satellite Pear is captivatingly contradictory, and all the more fascinating for it.